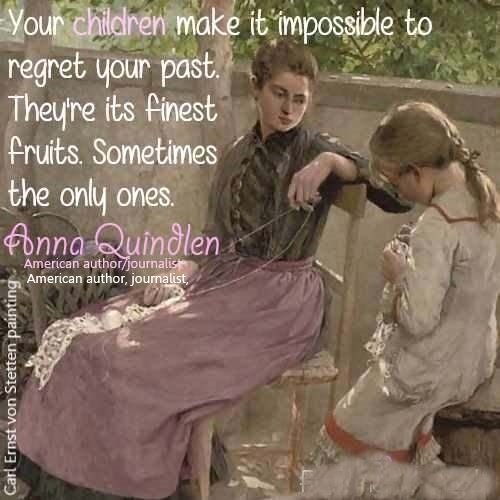 Anna Quindlin Quote ~ Children “Your children make it impossible to regret your past. They’re its finest fruits. Sometimes the only one.” Carl Ernst von Stetten art.